If you all read my post ‘canine distemper ruins lives’ you might find it interesting to note that National Geographic just wrote an article about a CDV breakout in the tiger population in Russia. The beautiful Aasha with her gorgeous blue eyes. Canine distemper virus, or CDV, is a virus that attacks the digestive system, the respiratory system and degeneration of the nervous system. Though it mostly affects dogs, it can be found in wild animals like raccoons. It is an airborne virus, but is also present in any and every excretion from an infected animal. 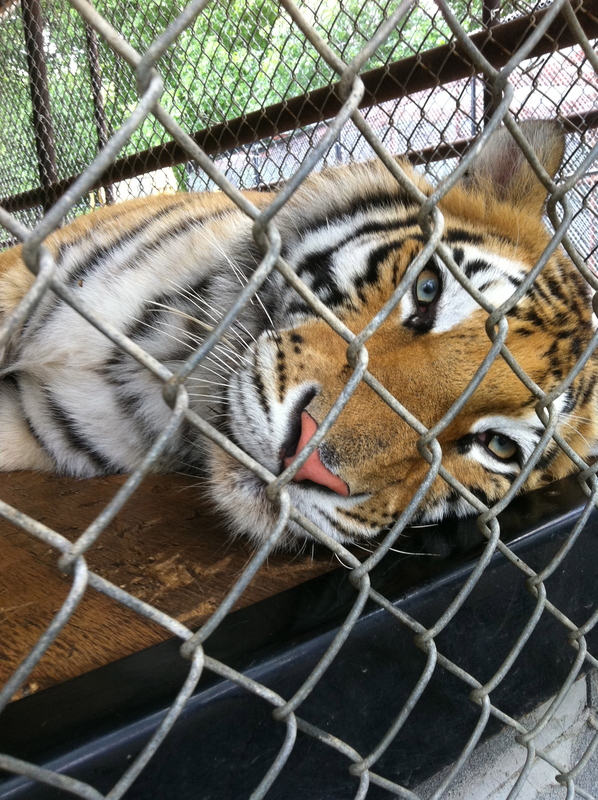 Recently 22 big cats were diagnosed with CDV at In-Sync Exotics. 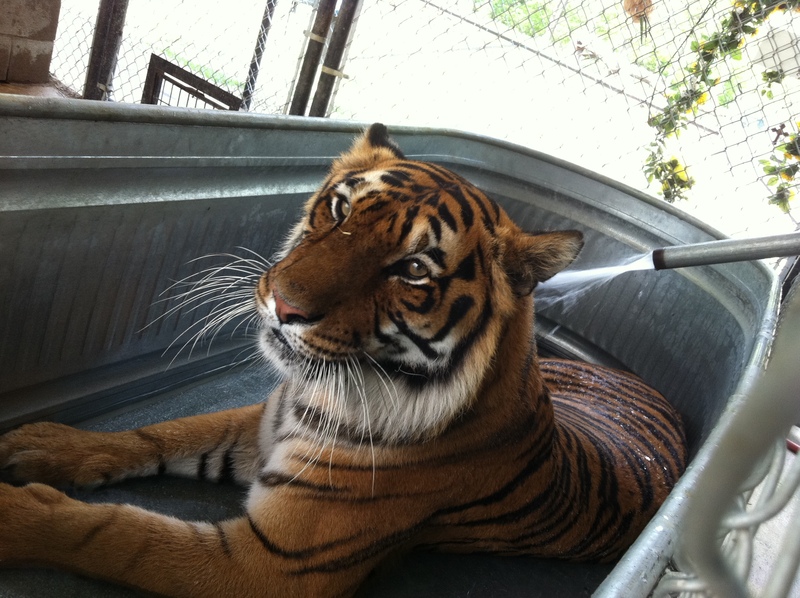 Apollo in his tub. He is very sick and lethargic. I saw his two days ago and his eyes we’re dull.